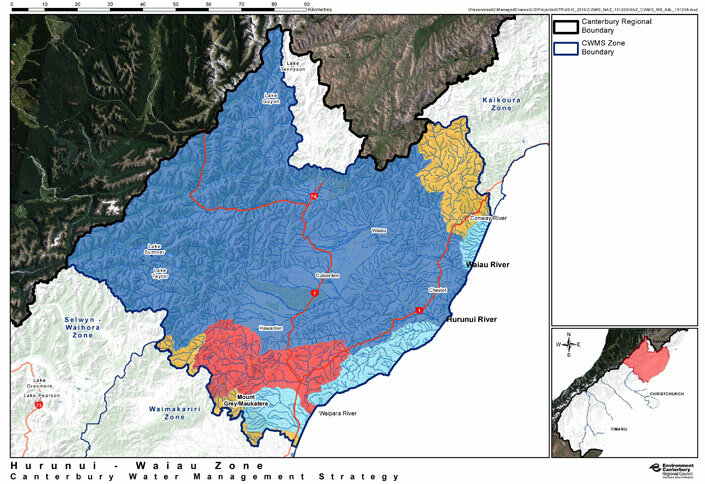 The Hurunui Waiau River Regional Plan became operative in December 2013. This is either a catchment agreement, industry system, or irrigation scheme. (Amuri Irrigation is one example of this type of collective. For further information visit http://www.amuriirrigation.co.nz/ or contact your Environmental Manager Alastair Rutherford: 021 474 707). Any nutrient loss increase above 10% is currently not possible in the Hurunui River catchment and a consent must be applied for in the Waiau catchment. Together with Fonterra and Amuri Irrigation Company we have been working to initiate Sustainable Milk Plans for all dairy farmers in the zone. If you are outside the Hurunui Waiau catchments, the map below shows the nutrient management rules that apply. Hurunui - Waiau Zone. Click to download pdf version. Read more on Environment Canterbury's Hurunui Waiau River Regional Plan page. For more information on Hurunui contact Katherine McCusker on katherine.mccusker@dairynz.co.nz or 022 071 0255.